Nope, no baby yet. As you can see, our list of birth date predictions is dwindling down (see sidebar on the right with the pink text). Even my own prediction has been come and gone. 3 more days until our due date. But, maybe there is some hope for something happening over the next day or two. Two major astronomical occurrences will collide in the next 24 hours. The autumnal equinox, which rings in the beginning of fall will happen at 10:09pm tonight. 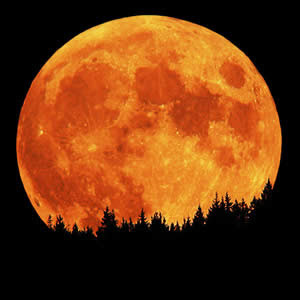 The harvest moon, which is the full moon closest to the autumnal equinox will officially be full at 4:17am tomorrow. Full moon + the beginning of fall? Could mean lots of babies being born. We will just have to wait and see!